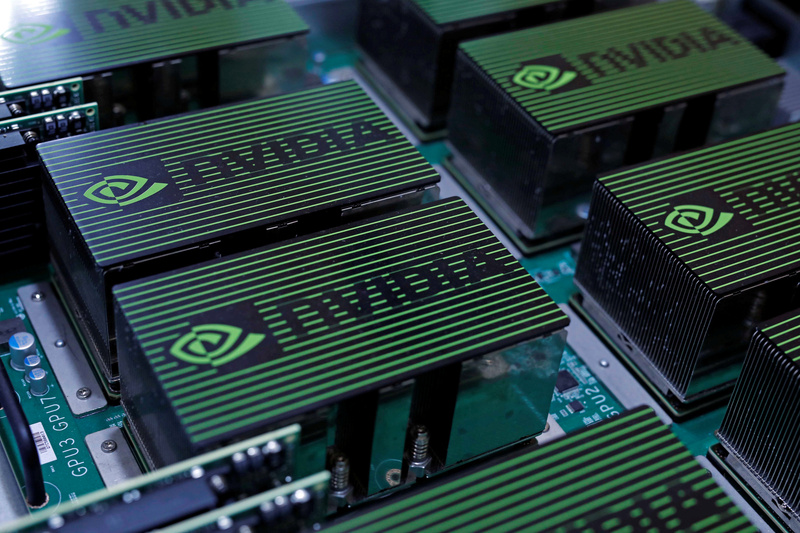 Nvidia said on Nov. 15 it had revenue of $3.18 billion for the third quarter, missing analyst forecasts of $3.24 billion, according to I/B/E/S figures from Refinitiv. The graphic-chip company estimated sales of around $2.7 billion for the fourth quarter, short of analysts’ estimates of $3.4 billion. The company blamed a buildup of unsold chips at distributors following the ending of the cryptocurrency boom. Separately, Applied Materials said on Nov. 15 that first-quarter revenue would be between $3.56 billion and $3.86 billion. Analysts had been forecasting sales of $3.95 billion for the semiconductor-equipment maker in that quarter. Shares in Nvidia fell 18 percent in early trading on Friday, while Applied Materials shares declined 8 percent.